Whether you are setting out to get fit, searching for ways to improve your performance, looking for the stars of the future, challenging Olympic champions or just want a realistic ride without having to go out in the rain, Wattbike can take you there! The Wattbike monitors everything you need to know about your cycling and will help to track progress as your training develops. Whether you are looking to monitor your power output, cadence, heart rate and the effectiveness of your pedalling, there is a measurement parameter for you. force profile of the drive on each leg. Born out of a desire for the authentic feel of cycling and accurate data the Wattbike is the first indoor bike to be endorsed by British Cycling. 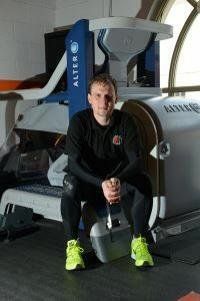 The challenge was to design a bike that felt realistic, was incredibly accurate and which would allow for training, monitoring fitness, talent identification and racing for everyone from children through to elite, Wattbike became the first and only indoor bike they have ever endorsed. Since then, British Cycling has been using Wattbikes as part of their national talent identification programme and to teach the potential cycling stars of the future race tactics and technique. They have integrating been it into the long-term plans of every element of the sport of cycling in Britain. 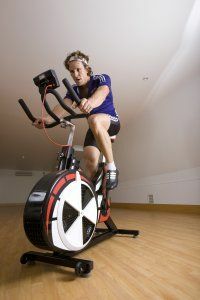 Designed with cyclists in mind, the Wattbike attracts and retains cycling and triathlon enthusiasts to any establishment. The Wattbike gives newcomers and seasoned pros alike a fantastic workout with easy-to-understand performance feedback presented in real time - an intuitive way to focus riders' minds on not just how hard they are riding but also how effective they are. Watt Bike sessions are £20 for 30mins or £175 for 10 30 minute sessions.